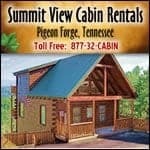 The Smoky Mountain Navigator Blog is a resource for people planning their vacation in the Smokies. The blog has information about lodging and things to do. If you’re going to be visiting the Pigeon Forge area, one of the most exciting activities you can experience is zip lining. Offering spectacular views of the Smoky Mountains and adrenaline-fueled fun, canopy tours are a safe and exhilarating way to take in Tennessee’s natural beauty.